Soil sampling around an underground oil tank, it is one way we do oil tank testing. 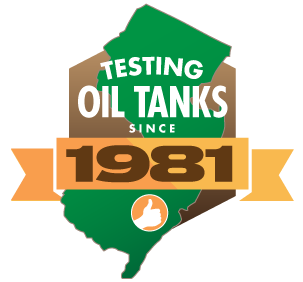 Backed by over 30 years of experience, our sister company Oil Tank Assurance provides some of the most accurate and affordable oil tank testing services in the business. We offer traditional oil tank testing as well as our Oil Tank Assurance program whereby we guarantee you will have no surprises with your oil tank removal. No Disclaimers, no gimmicks, just peace of mind, and an Iron Clad Guarantee! Whether you’re selling your home, looking to obtain new insurance- or just want peace of mind- there are many reasons why you may want an oil tank test by Oil Tank Assurance. Learn more about our guaranteed program here. 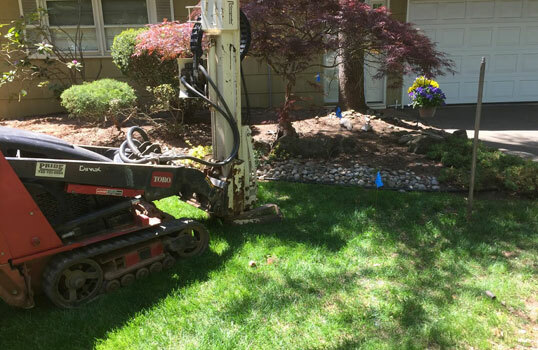 Utilizing augers, probes and other equipment, our trained technicians will complete soil borings down the side and under the oil tank. Samples are extracted and field screened. A sample is also sent to a NJDEP approved laboratory as well for confirmation. The reason this is the best type of testing is all tank testing has a margin of error. The vacuum or EZ check test has a margin of error stating that a tank can pass and still be leaking at a rate of .1 GPH. That is over 2.3 gallons per day. Doing soil borings, while not perfect, will at least let you know if you have any significant exposure.